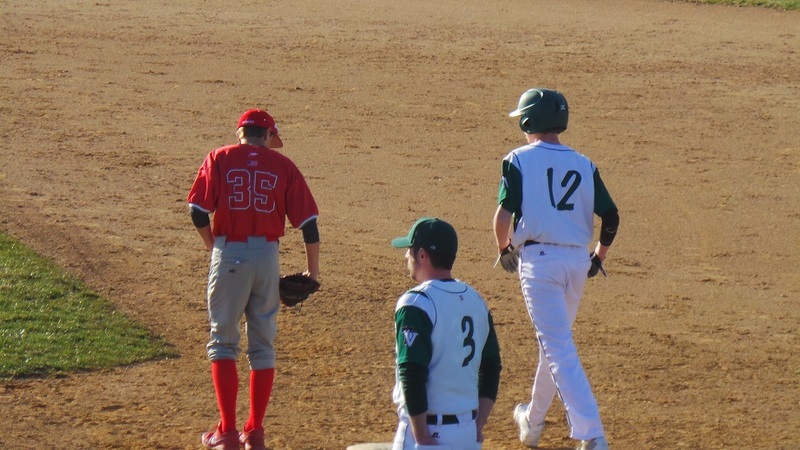 On what may have been the nicest afternoon that this spring season has had to offer, the Twin Valley Raiders put their perfect 4-0 record on the line, welcoming the 7-1 Hamburg Hawks to Elverson. Toeing the rubber for the Raiders was sophomore Casey Fitzsimmons. After allowing a one out walk to Tyler Seidel, Ryan Atkinson stepped up to the plate. Atkinson got a pitch he liked, and with the wind pushing out, was able to crush it over the center field wall, giving the Hawks an early 2-0 lead. Austin Bashore ran into a little bit of trouble early, allowing a run to score on a deep fly to right by Richard Lennon. 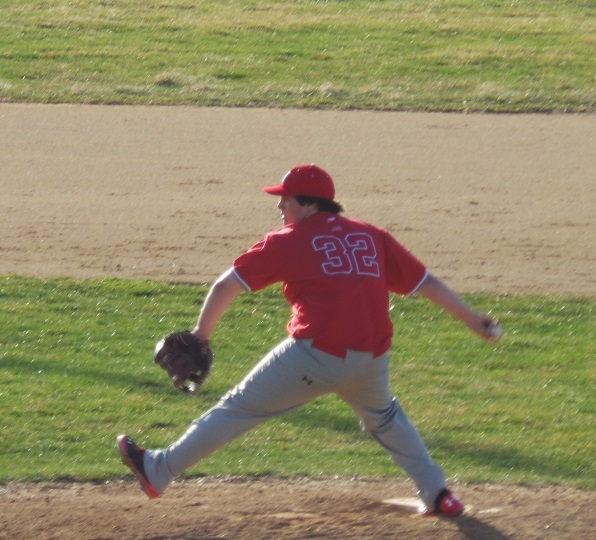 However, Bashore was able to work out of jams early and often, as he surrendered just two runs over 4 and 2/3 innings. TJ Romoho would add to Hamburgs lead with a long opposite field single that plated two Hawks baserunners, giving them a 4-1 lead. Alec Ranck was able to drive in a run to cut the Hamburg lead down to 4-2, but the Raiders would get no closer. In addition to his 1st inning home run, Atkinson pitched 2 and 1/3 scoreless innings to help seal the 8-2 victory for the Hawks. The Hawks, who improved to a Berks-best 8-1 (3-1 in Berks II), will next play Saturday at Tamaqua in a non-league contest. The Raiders, who now stand at 4-1 (2-1 in Berks II), face a struggling Wyomissing team on Friday.